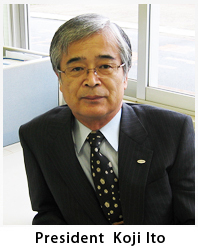 The International Polyurethane Technology Foundation was established in 2014 as Japan's first research grant foundation targeting the polymer chemistry, of which polyurethane is the core part. Recently, the polyurethane industry is expected to contribute significantly to industrial growth through diverse development. At the same time it has been facing various environmental issues including safety, cleanness, ecology, and energy savings. Therefore, the entire industry must meet social requirements and issues such as global environmental conservation. Aiming to help researchers engaged in studies in polymer chemistry and related fields with their research activities and thus contribute to academic development, we strive to conduct support activities to help further develop research on polyurethane and foster human resources for future development in the polyurethane industry.